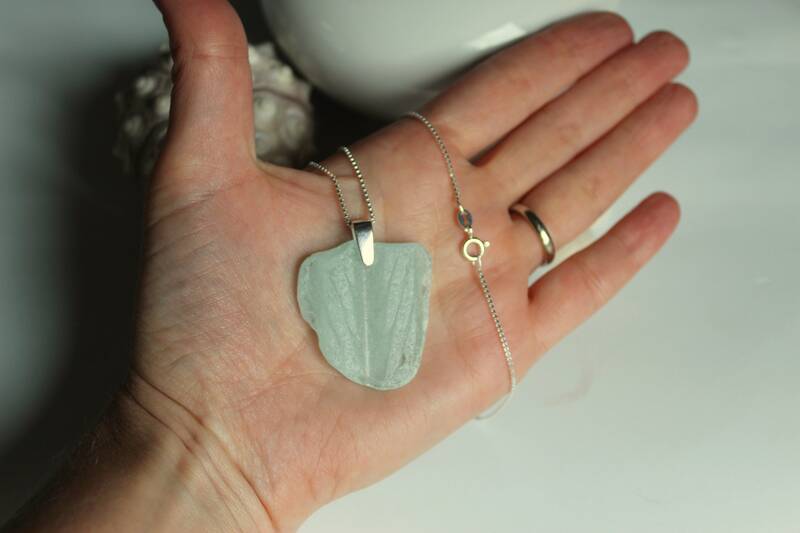 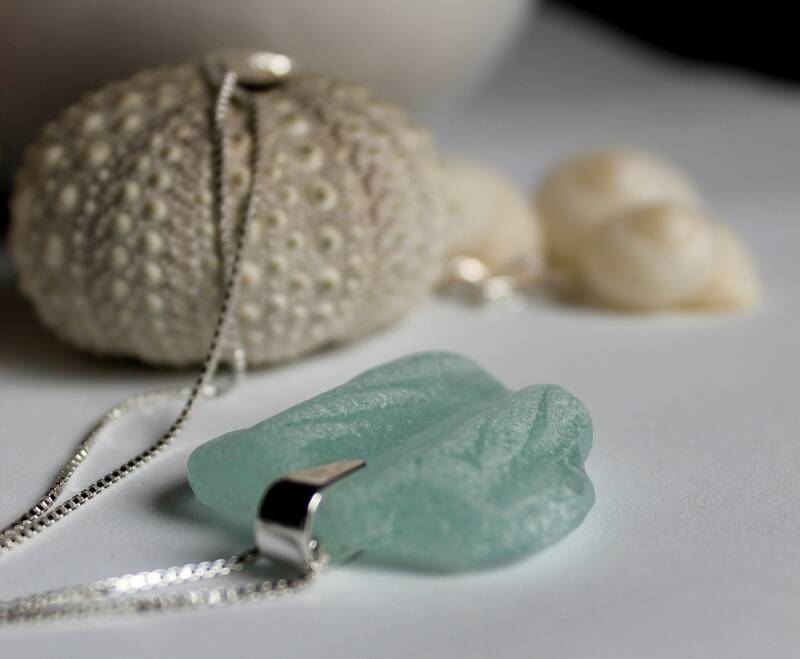 Our Antiquity sea glass necklace has a story to tell- the crisscross pattern and soft aqua colour means that the piece was originally from a vintage washboard that somehow made its way into the sea. 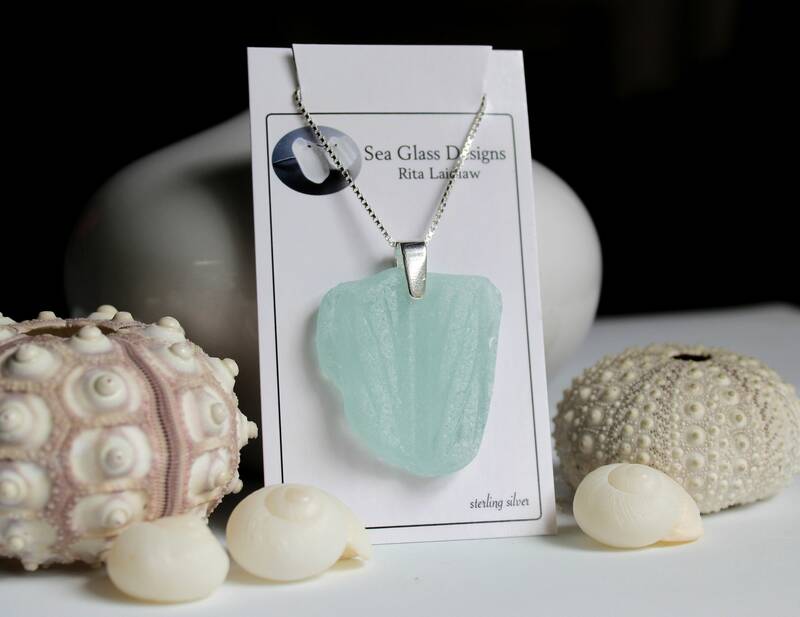 The glass was found on a Nova Scotia beach. 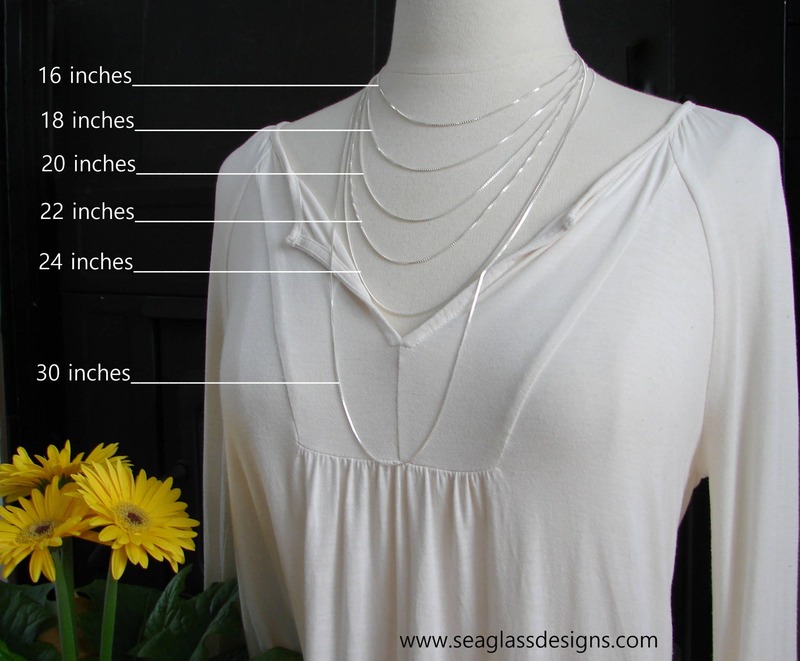 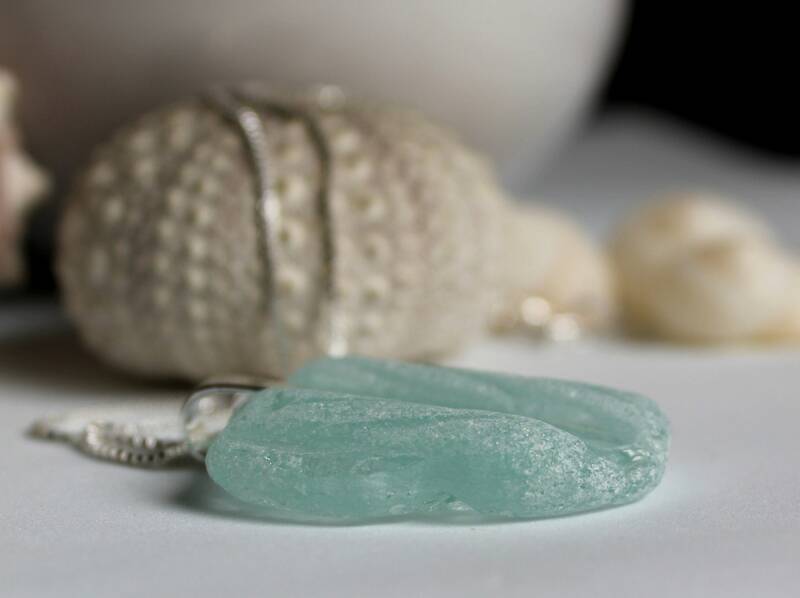 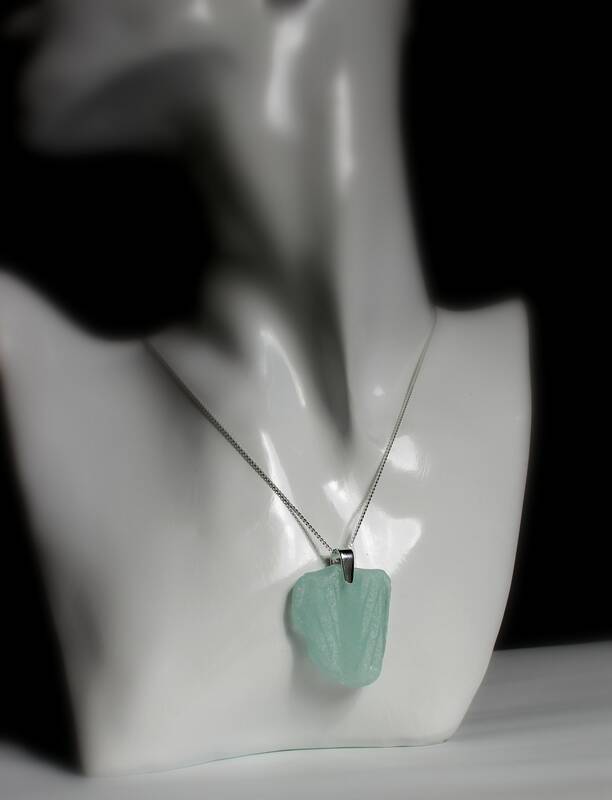 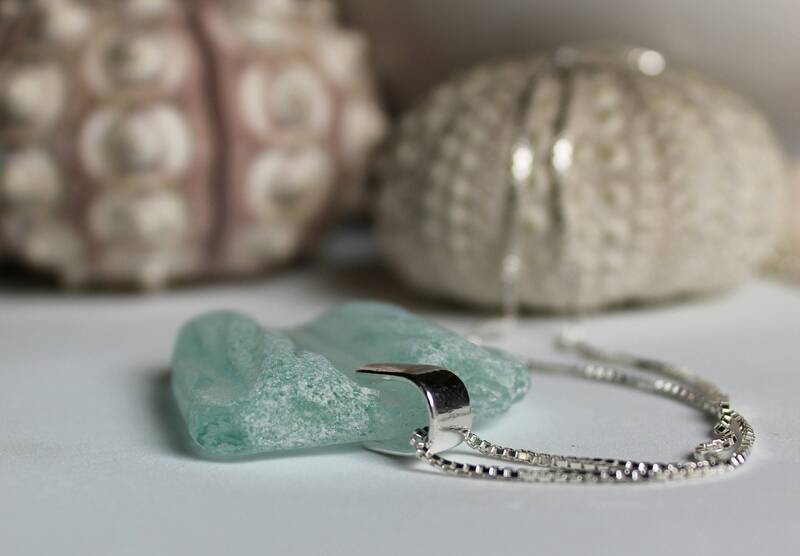 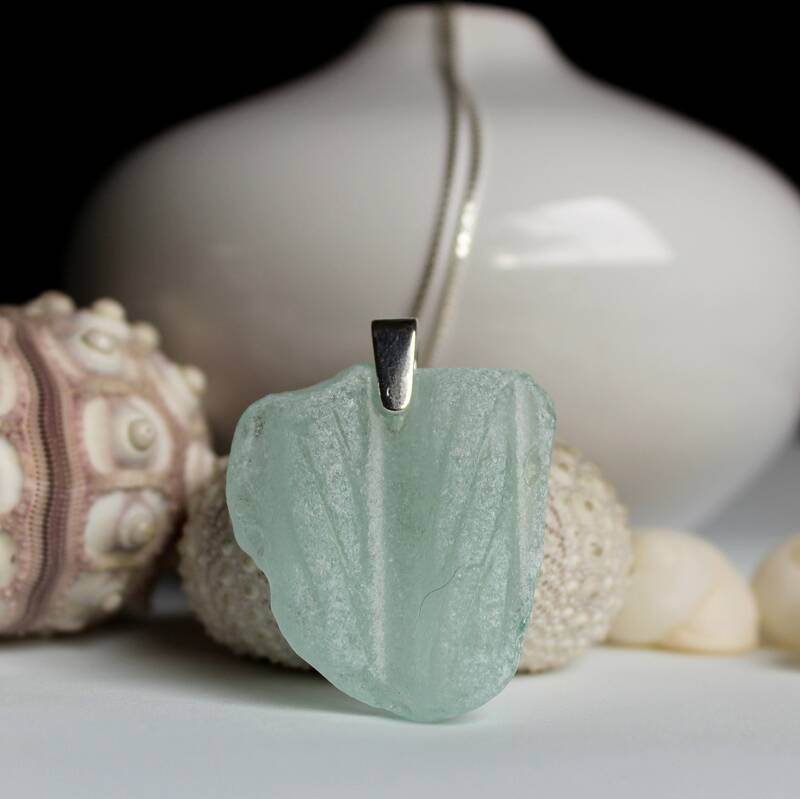 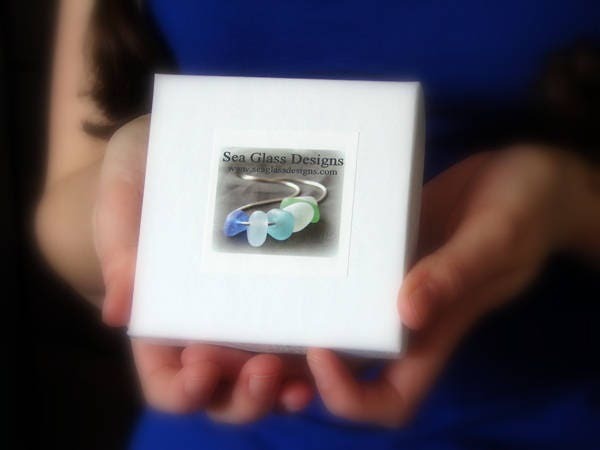 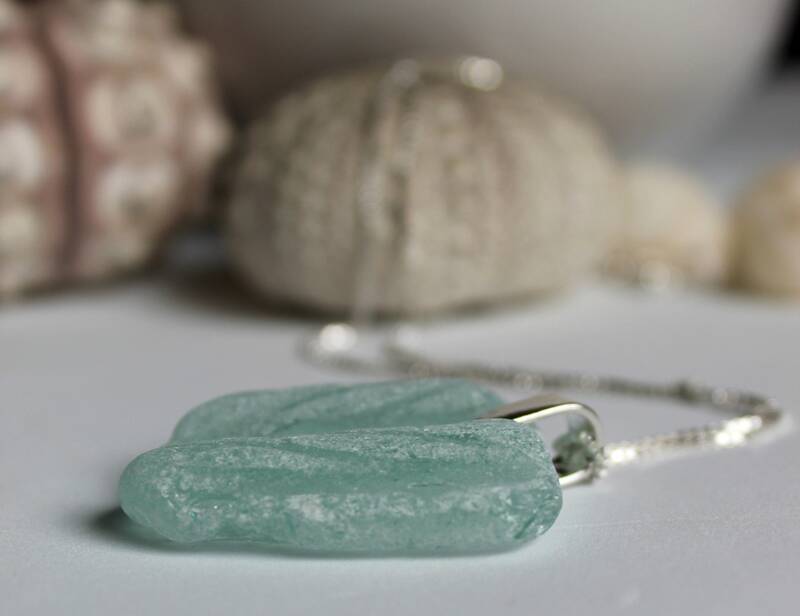 The Antiquity pendant measures 1 5/8 inches in length, and is both soft and striking, a bit of the sea for you to wear.